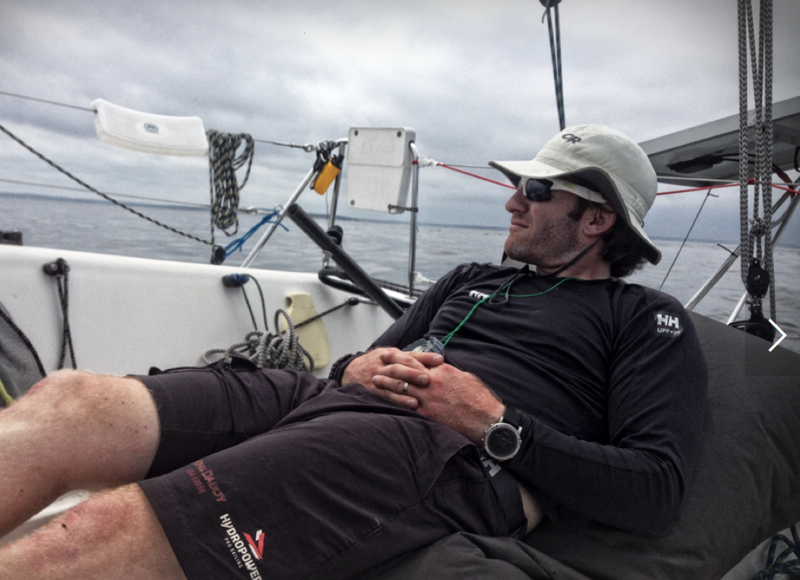 After a Sailing Anarchy community-sourced ride on a VO65 last summer in Newport, New England Minista and lawyer Josh Reisburg is starting to ask himself some hard questions about his future. His musings on the idea of going pro – and his blog – are must-read stuff for anyone who occasionally asks themselves “Why not go pro?” Here’s the intro, and the title of this piece hides a powerful movie recommendation for citizens of the world. Back in July, with “real life” obligations heavily competing for my attention, I felt a strong urge to crush miles aboard my 21-foot Mini Transat, Abilyn, because that’s just what you do when you own a Mini Transat. But I was also motivated by something that pro sailor and co-founder of 13Fifty Racing, Jesse Fielding, said to me in Newport during the VOR stopover. He called me a name, and, in an anti-Marty McFly kind of way, I sought out to prove him right. In total, I sailed nearly 600 miles over these three weekends between my “real life” obligations to see if I had what it takes to be called a weekend warrior.